Our work included protecting maritime coastal heritage globally, influencing policy and management of prehistoric landscapes in the UK, and supporting policy and business development in the context of Roman archaeology in Italy. Our archaeologists make a significant impact on how the past is recorded and presented, this in turn enhances the economic and cultural life of millions, and how it will be preserved for the future. We place theoretical reflection at the heart of everything we do and are committed to the understanding of archaeology as a practice in its social, cultural and political context. Drawing on the many significant interdisciplinary links across the University of Southampton (including the National Oceanography Centre; Engineering; Electronics and Computer Science; Winchester School of Art; Environmental and Life Sciences), we focus on the integration of empirical and scientific data on the one hand, and a range of interpretive issues and fundamental social and cultural questions on the other. Archaeology at Southampton has a broad range of research interests and the research summaries collected on these pages offer a taste of our recent and current work. Our seminars are open to academics, students and the general public. Find out more about our academics and their areas of expertise. Our research projects focus on a range of themes, from classical and historical archaeology through maritime archaeology, and beyond. We have a number of major research centres in Archaeology, engaged in international and cutting edge research. 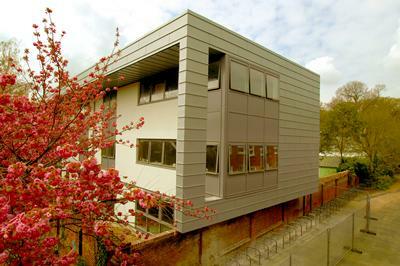 Archaeology's £3m state of the art premises is one of the few purpose-built archaeology buildings in the country.